Welcome Back: Fall Classes Start this week! — Gem City Gymnastics & Tumbling, LLC. Welcome Back: Fall Classes Start this week! We’re so excited to be back! 露‍♂️A new school year means new classes at Gem City too! We still have a few open spots available, so call 217.224.8491 or stop in our soon. to get a spot in our fall gymnastics, tumbling, cheer, and kinder gem classes! 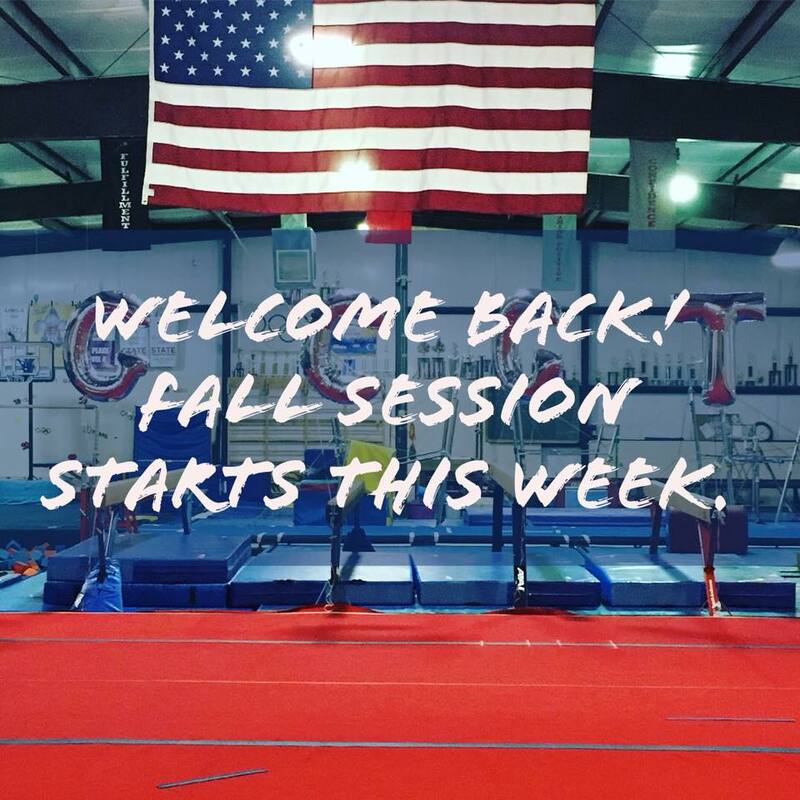 You can find and view our schedule online whether you’re interested in our fall gymnastics, tumbling, cheer, and kinder gem classes. You can enroll in classes at any time during the year. However, the sooner you enroll, the more likely you are to get into your preferred time. Use the buttons below to jump to the schedule that you’re most interested in attending. Fall 2018 Classes – Register now! Gymnastics classes teach the skills of the four events of women’s gymnastics— bars, beam, vault, and floor. No experience is necessary. Tumbling classes focus on the proper technique and execution of handstands, cartwheels, round-offs, and back handsprings. No experience is necessary. Kinder Gem classes develop motor skills, introduction to basic gymnastics movements, and basic group learning. Ages 18 months to 5 years old. Cheer classes are designed for junior high and high school athletes interested in tumbling with some emphasis on jumps. No experience is necessary.